Put them to use on your PC ! Cable Length: 60 cms. (Laptone Micro USB Cable -2M. 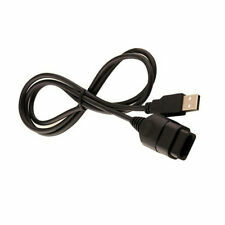 ● Universal Micro USB Cable -Black. 1) 1x Laptone Micro Usb Cable -2M. ● Revolutionary 2-in-1 cable for charging power and transferring data simultaneously. Free Technical Support. (Laptone Micro USB Cable -3M. 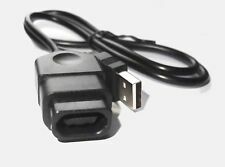 ● Universal Micro USB Cable -Black. 1) 1x Laptone Micro Usb Cable -3M. ● Revolutionary 2-in-1 cable for charging power and transferring data simultaneously. Free Technical Support. Suitable only for Microsoft Xbox. Compatible for: for Xbox. Due to the light and screen setting difference, the item's color may be slightly different from the pictures. Support System: for Windows XP/Vista/7. Warning!!!! Please check the compatibility of the product at the brook official web site before you place the order because NOT all the brand or models of the controllers / wheel / Joystick are compatible with the brook adapter! Warning: It does not support headset or headphone!!!! If you can't connect with the Super Converter to your console properly, that's mean your console firmware is too new and not being compatible, Please update the converter firmware from the below link. https://www.brookaccessory.com/download/ Description:. Applies to: XBOX. 1 x Xbox to pc gampad adapter cable 1.8m. We will always here to solve them for you. It won't help the problem to be solved. Material: ABS. Size: Length 1.8M. Easy to plug. Features: This converter is used for NS Switch Pro/Joy-con/DS4/Xbox one slim/Wiiu Controller convert to Nintendo Switch Console use. (Please Notice: It also support PS4 and X1 game console, But need a HUB connect to DS4 handle as the boot, or it can not work) Comes with a Bluetooth CSR 4.0 adapter, farther and more stable. Built-in buttons, regularly updated firmware, compatible with a variety of games. Mini size and lightweight, easy to carry, best Controller Converter for gamers. Easy operation, plug and play, no drivers needed. Compatible With: For Microsoft Xbox One PC Windows. Detail Image. Canada, United Kingdom, Austrilia, France, Germany, Spain, Ireland, Italy, Others. USA, Canada, United Kingdom, Austrilia, France, Germany, Spain, Ireland, Italy, Others. Applies to: XBOX. 1 x Xbox to pc gampad adapter cable 1.8m. We will always here to solve them for you. It won't help the problem to be solved. Easy to plug. Size: Length 1.8M. Material: ABS. 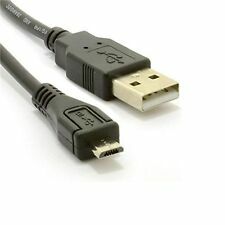 Included: 1 x USB Converter Cable for Xbox 360. If item is defective after 3 months, you can still send it back to us. We will send you a new one after receiving the defective item. Mon. to Sat. Warranty Service. Applies to: XBOX. 1 x Xbox to pc gampad adapter cable 1.8m. We will always here to solve them for you. It won't help the problem to be solved. Easy to plug.